I didn’t stay up until midnight on Sunday to see 2018 come in, and I haven’t made any resolutions yet but that doesn’t mean I’m a New Year’s scrooge. Like nearly everyone else, I enjoy January’s tang of new beginnings and untapped potential. That annual burst of new hope and energy is quite intoxicating. On the downside it’s not surprising that many resolutions made at this time don’t stick so well beyond a few weeks. The activity tracker is a pain to keep recharging, and eventually it gets shoved in a drawer along with hopes of doing the couch to 5k; the new prayer journal gets lost amid the covering of new school books and never really resurfaces, and so on. I like the idea of making one small positive change to correct a small fault, and sticking with it until it becomes second nature. Over time one’s whole life can change that way, little by little. There are big things about myself I would like to change, and while I can hope for a sudden influx of grace to resolve them all, I know that it is unlikely to happen that way. And it’s presumptous for me to think I can make myself become a more patient, hopeful, faithful, healthier, prosperous and better-read person within a year by sticking to a few resolutions. For other people it might be different but I suspect that when it comes to making positive personal changes I need to focus on the (very) little picture while trusting in the bigger one, St Therese-style. Have you got big plans or goals for the year, or making a small tweak or two, like me? Or both? Rather than looking at the many small and big challenges in our family life and within myself and getting discouraged by slow progress or insurmountability (as I’m wont to do), I’ll stick with putting one small, not too difficult, change in place at a time and trust that it will carry me through until I realise it’s time to work on a new one. 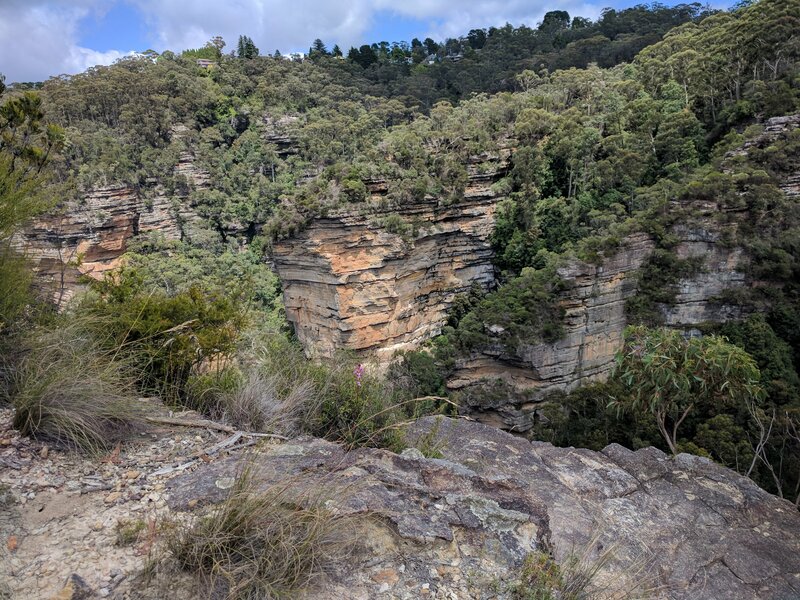 I’m writing from the Blue Mountains where our family has joined with a few others to hire out a retreat/conference site for a week of sport, games, bushwalking, swimming etc. It’s fun and a great way to start the year, out of our normal environment and routines, surrounded by other people who have similar or different good habits to mine. I’m getting some great ideas. There’s a group of mums who get up early for a walk before breakfast – I’m not sure I could manage that this year, maybe in 2019! That’s a great idea, and I know Jennifer Fulweiler has created a saint’s name generator which is popular at the start of each year. I used to not be able to get enough of learning about the lives and writings of different saints, but for the last couple of years I’ve been pretty committed to getting to know the Carmelite saints a bit better each year, especially the founders of the Discalced reform of the ancient order St Teresa of Avila and St John of the Cross.